All of January the Russian press were full of news about the situation in Venezuela. Very often the word “revolution” is employed (which is not exactly accurate). Sometimes the words “dual power” or “coup”. 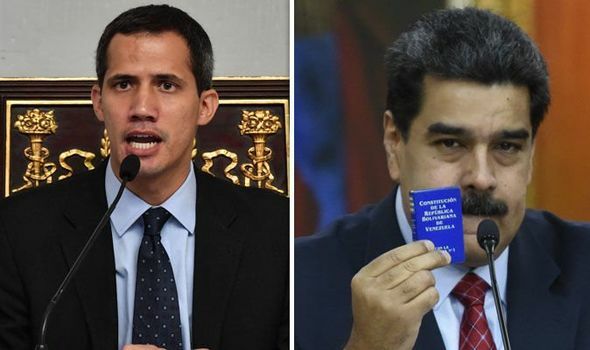 We read about the great risks to Russian investments in that country, partially in connection with the position of the Russian Federation, which has deemed “unlawful” the attempt at usurpation of power on the part of Juan Guaido, who proclaimed himself the Acting President. In certain publications there are hints or indications that, once they take the government, the (Venezuelan) Opposition will “remind” Moscow of its support for Maduro. However, in the current situation, Moscow’s position is quite logical. Who will win? Guaido or Maduro? The conflict between the branches of the Venezuelan government has been going on for many years already. When the Venezuelan Parliament, controlled by the Opposition, refused to comply with the rulings of the Supreme Court, the latter froze the powers of the Parliament; which, however, continued its activities. This conflict did not lead to a true dual-power type situation. The disorders and the attempt at a military coup, despite all the tension, are not really anything new for Venezuela. For example, in August 2017 an attack of the putschists against the garrison in Valencia, was repulsed with some casualties on both sides, and in the aftermath the majority of the putschists were arrested. And at the beginning of last year, the group led by the “Rebel Cop” Oscar Perez was liquidated. The Perez group consisted of military and civilian elements and had attempted to start an urban guerrilla war against the government. It only succeeded in conducting two or three actions. The first action being the hijacking by Perez of a police helicopter, out of which he shot up the building of the Ministry of Internal Affairs and tossed several hand grenades onto the building of the Supreme Court. The 2017 efforts to overthrow the government, by means of street protests, failed. However, these disorders stretched into a campaign of many months duration, resulted in numerous casualties, and worsened the economic crisis of the country; yet did not seriously impact the power of the President. Exactly the same thing had happened in 2014. Riots, demonstrations, pogroms. This is all typical and even “normal” for Venezuela. This entry was posted in Breaking News, Friendship of Peoples, The Great Game and tagged Juan Guaido, Oscar Perez, Venezuela crisis. Bookmark the permalink. Ted Galen Carpenter has written a good article on Venezuela over at The American Conservative (https://www.theamericanconservative.com/articles/washingtons-incoherent-policy-towards-dictators-venezuela-maduro/). I sense that the article here is going in a slightly different direction than Carpenter does (Carpenter is a Guaido supporter, but argues that America should mostly stay out of it, whereas it seems like Strauss is pro-Maduro), but I think either way, it should be agreed that the situation in Venezuela is a complicated one, and heavy-handed interference by foreigners (especially the US) is likely to do more harm than good. Personally, I think there’s a lesson for Russia in that as well as for America. Any foreign country that implicates itself too deeply in the Venezuelan situation runs a serious risk of adverse consequences, while being unlikely to achieve anything constructive. Maduro. There is no backing out now, for either side, the Rubicon has been crossed. From other material I have read, this is a Pence-Bolton project. Trump gave them the green-light, but if their coup fails, he will probably just dump the blame on them. Hence, nothing is left at this point except for people to root for whichever side they prefer, and to see who wins this war.